(a) To the matters with respect to which parliament and the state legislature has power to make laws. Since according to article 73 and 162 the executive power of the union and that of the state are coextensive with the legislative power of the union and of the state, it follows that the union or the state executive “may” make rules regulating any matter within its legislative competence, without prior legislative authority with a stress on the word “may”. Stating that the union or the state executive may make rules doesn’t mean that “it can make rules irrespective of the legislative competence” .There lays the main reason as to the interpretation of the word coextensive by the executive. Here the word “coextensive” doesn’t mean at the same par with the legislature but carrying out its function along with the legislature. But the interpretation by the executive has been done keeping in mind the first premise i.e. where legislative power is there executive power is competent to make law and where legislative power is not present executive power does not make a law. As per Article 73, the Statement proceeds on the assumption that there is no provision in the Constitution that gives authority to the Executive to enter into any agreement with a foreign government or a Foreign organization that binds the nation. The Hon’ble judges have quoted sub-clause (a) of clause (1) of Article 73, which stipulates that subject to the provisions of this Constitution, the Executive power of the Union shall extend to the matters with respect to which Parliament has Power to make laws. Sub-clause (b) thereof provides that the executive power of the Union shall extend “to the exercise of such rights, authority and jurisdiction as are exercisable by the Government of India by virtue of any treaty or agreement”. True, this necessarily postulates that matters on which Parliament has no powers to make laws are also matters on which the Union Government cannot exercise its executive powers. But the converse – that there must be a Parliamentary law before the Union Government can exercise its powers – is not necessarily true. This is reductio ad absurdum. If the conclusion reached by the Hon’ble judges were to be accepted, then the Executive cannot act even in the matter of, say, establishing diplomatic relations with other nations, because no law has been passed by Parliament for the same. The executive power of the Union extends to the matters with respect to which Parliament has power to make laws. Executive power of the Union does not, ordinarily, extend in any State to matters with respect to which the Legislature of the State has also power to make laws. In other words, normally, the executive powers of the Union and the States are co-extensive with their legislative powers. However, with respect to matters in the Concurrent List, the executive power remains with the States unless the Constitution or Parliament by law expressly provided otherwise. Article 253 is found in Part XI of the Constitution, which governs relations between the Union and the States. Chapter I of Part XI deals with legislative relations and distribution of legislative powers amongst the constituent states of the Indian Union and the Union Government. 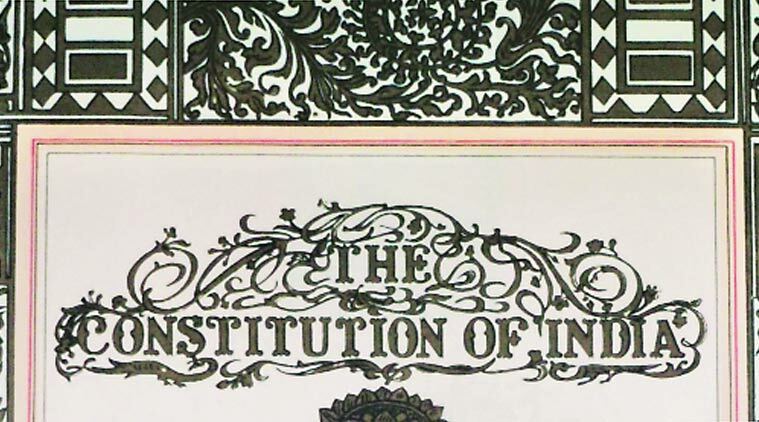 This Article specifically begins with the limited non-obstante clause, “Notwithstanding anything in the foregoing provisions of this Chapter, Parliament has power to make any law for the whole or any part of the territory of India for implementing any treaty, agreement or convention with any other country or countries or any decision made at any international conference, association or other body” and goes on to lay down that “Parliament has power to make any law for whole or any part of the territory of India for implementing any treaty, agreement or convention with any other country or countries or any decision made at any international conference, association or other body.” Shorn of legal jargon, this lays down only an enabling provision for Parliament to legislate with respect to the treaty obligations of the Central Government, notwithstanding the scheme of distribution of legislative powers under the Constitution. It is present only in the limited context of legislative relations between the Central and State governments. It is a power to encroach upon the State List enumerated in the Seventh Schedule pursuant to treaty obligations or decisions taken at international conferences etc. An enabling provision is certainly not a mandatory one. Thus, there is no support in the Indian Constitution for the view – either explicator by necessary implication – that Executive can act only in the brooding presence of a Parliamentary legislation. Parliamentary control over the Executive’s actions can be achieved through other constitutionally provided mechanisms including collective responsibility to the House of the People, rather than by doing violence to the language of Article 253 as it stands today. If the Executive has to be controlled by Parliament and the judiciary at every step, then it would be strengthening those two organs of governance at the cost of the executive. Such a step would not, in my view, indicate well for a mature democracy. (1)”The executive power of the union shall be coextensive with the legislative power”. This very statement in itself raises an issue as to the interpretation of the word “co-extensive” by the executive. (2). Further the issue broadens its meaning namely, the presumption what the legislature can do legislatively , can the executive do executively, how far is it justified in terms of treaties and ordinances. (3) Article 73 and 162 a substitute or a supplement? Executive power coextensive with legislative if closely examined you are getting to aspect. Executive cannot make rules without a valid law conforming to the requirements of the constitution. Under article 73, the executive power of state cannot be exercised in the field which is already occupied by the laws of the legislation. It is settled law that any orders, instructions, direction or notifications issued in the exercise of executive power which is contrary to any statutory provision is without jurisdiction is nullity. In view of Mukherjea judgment on ramjawaya kapoor case is legislative make law it is run by executive so that executive make rules where legislative apply law. Also where legislative cannot make a law executive can make law. Because all its not scientific its done by human so legislative mistake or forgotted to make law on certain position there executive extended his power. In another case was same principle applied in judgment. The executive is enjoined with a duty to act or apply the laws in a just manner and if an individual or institution is dissatisfied with the State action in enacting the laws or their implementation he can approach the court seeking redressal of his grievances. Rai Sahib Ram Jawaya Kapur and Ors. V The State of Punjab AIR 1955 SC 549:- This is a petition under article 32 of the Constitution, preferred by six persons, who purport to carry on the business of preparing, printing publishing and selling text books for different classes in the schools of Punjab, particularly for the primary and middle classes, under the name and style “Uttar Chand Kapur & Sons.” It is alleged that the Education Department of the Punjab Government has in pursuance of their so-called policy of nationalisation of text books, issued a series of notifications since 1950 regarding the printing, publication and sale of these books which have not only placed unwarrantable restrictions upon the rights of the petitioners to carry on their business but have practically ousted them and other fellow-traders from the business altogether. It is said that no restrictions could be imposed upon the petitioners’ right to carry on the trade which is guaranteed under article 19(1)(g) of the Constitution by mere executive orders without proper legislation and that the legislation, if any, must conform to the requirements of clause (6) of article19 of the Constitution. There certain contentions raised that is executive government of a state competent to make rules, without any legislative sanction, as our Constitution clearly recognises a division of governmental functions into three categories, viz., the legislative, the judicial and the executive, the function of the executive cannot but be to execute the laws passed by the legislature or to supervise the enforcement of the same. The legislature must first enact a measure which the executive can then carry out. The Supreme court held that – The limits within which the executive Government can function under the Indian Constitution can be ascertained without much difficulty by reference to the form of the executive which our Constitution has set up. Our Constitution, though federal in its structure, is modeled on the British Parliamentary system where the executive is deemed to have the primary responsibility for the formulation of governmental policy and its transmission into law though the condition precedent to the exercise of this responsibility is its retaining the confidence of the legislative branch of the State. The executive function comprises both the determination of the policy as well as carrying it into execution. This evidently includes the initiation of legislation, the maintenance of order, the promotion of social and economic welfare, the direction of foreign policy, in fact the carrying on or supervision of the general administration of the State. It may not be possible to frame an exhaustive definition of what executive function means and implies. As the executive power connotes the residue of governmental functions that remain after legislative and judicial functions are taken away. The executive cannot against the constitution provision but it does not follow from this that in order can nezer go against the provision of the constitution but it does not follow from this that in order to enable the executive to function ther must be a law already in existence and that the powers of the executive are mere carry out these laws. How far is the assumption by the executive justified that what the legislature can do legislatively, the executive can do executively, taking into consideration the premise executive is coextensive with the legislature” for in case of passing treaties. To the exercise of such rights authority or jurisdiction as are exercisable by the government of India by virtue of any treaty or agreement. As regards clause (b) it must be read with article 253 and entry 14 of list I of schedule VII power to make treaties is inherent since it is a sovereign power and no legislative act is necessary. So long as the executive enjoys the support of the legislature it can go on discharging the its policies irrespective of the legislative sanctions. The question would arise that whom this power is belong to the executive or to the legislative. This power is belong to the executive where it is subject to parliamentary control or supervision? What is affect of treaty making power conferred by entry 14 list I of the seventh schedule and Article 253 of the constitution upon the federal structure which we are adopted ourselves. From a reading of Article 246 along with the said Entries, it is obvious that the Parliament is competent to make a law with respect to the several matters mentioned in the above entries. In other words, treaty-making is not within the exclusive competence of the Executive. It is squarely placed within the legislative competence of the Parliament. By virtue of Article 73 of the Constitution, however, the Executive power of the Union extends, in the absence of parliamentary legislation, to the matters with respect to which the Parliament has power to make laws subject, of course, to constitutional limitations. It is well known that the Parliament has not so far made any law regulating the procedure concerning the entering into treaties and agreements nor with respect to their implementation. Equally clearly, no law has been made regulating the manner in which the Government shall sign or ratify the international conventions and covenants. The resulting situation, unfortunately, is that it is left totally to the Executive to not only enter into treaties and agreements but also to decide the manner in which they should be implemented, except where such implementation requires making of a law by Parliament. And the fact of the matter is that once the Executive Government enters into a treaty, it would be, ordinarily speaking, quite embarrassing for the Parliament to reject the treaty – more so in view of the provisions of the Vienna Convention on the making of Treaties which though not yet ratified by India. The fact that Parliament has chosen not to make any law regulating the treaty-making power, the Union Government has been, taking advantage of Article 73 of the Constitution, freely entering into treaties on its own without reference to the Parliament. For example The TRIPs agreement. India was evidently rattelled by draft Agreement on TRIPs produced by the conference. The Government probably thought it would be appropriate to bring the matter to the notice of the Parliament. Standing Committee opposed all the major stipulations and terms contained in the draft agreement. It opined that product patent system should not be imposed on India since it would result in steep increase in prices of medicines. It said that it should be left to the Indian state to determine whether it will go in for product patent or not. The Parliamentary Committee also opposed the 20-year period for the patents and the provision of the draft agreement which entitled the patent holder not to manufacture drugs and medicines within India while at the same time enjoying the benefits of patent in India. It also apposed the onerous conditions attached for permitting transition period to countries like India. What is relevant to mention however is that the Government of India signed the TRIPs agreement in 1994, practically in the same shape as the draft agreement, without again approaching the Parliamentary Committee or the Parliament. The question that arises in such a situation is what was the relevance of consulting the Standing Committee of Parliament and then signing the agreement in total disregard of the Report and recommendations of the Parliamentary Committee. It is obvious that had there been a law regulating the treaty-making power of the Government and if such law had provided for either prior approval, ratification, consideration or discussion of the treaty before it comes into force, such a thing could not have happened. It needs to be emphasized that TRIPs agreement is not the only agreement aigned by the government of india in the course of final round of Uruguay negotiations. The have signed several agreements concerning trade, services, agriculture and so on – all of which seriously impinge upon our economy, upon our agriculturists, businessmen and industrialists It is a matter of common knowledge that neither the Parliament nor the people of this country were taken into confidence before signing these agreements having such serious repercussions upon the life and the lives of the citizens of this country. It therefore becomes essential to think of subjecting the treaty-making power of the controls, as is sought to be done in several countries all over the world. We must also point out the very few examples given where certain treaties were referred to parliament before ratification are more political in nature, which have attracted national and international attention and do not establish a practice of the executive obtaining parliamentary approval. As at times of emergency the executive power might extend to the provincials during a period of emergency, it is natural that the Executive becomes unusually powerful. This is a tendency of governments all over the world, federal or unitary. The experience of parliamentary democracies indicates that a Parliament is vigilant and through the members of the opposition particularly. it manages to compel the Executive to account for all its actions. Thus, Parliament has the power to check the Executive whenever the latter goes beyond reasonable limits. Emergency provisions do not, in any way, cut Parliament out of the picture and Parliament has always the right to call the Executive to order; and if they find that the Executive has exceeded its powers in regard to the operation of any of the provisions enacted under the emergency laws, they can always pull it up, even dismiss the ministry and replace it. But the manner in which Parliament has dealt with the emergency shows that instead of the Executive arrogating to itself the powers of Parliament in the name of emergency. Parliament has subjected to Executive to greater control and security in all its actions vitally affection the nation. Which is why the executive have been lately considering itself to be the substitute and not a supplement of the legislature. Article 73 and 162 states the division of power between the union and the states but not conferring the power on the executive to do whatever they wish according to their whims and fancies. The executive power has to be exercised fairly and reasonably. Just because an authority which is state under Article 12 is conferred with statutory power, the same would not mean that it can exercise the power in any manner whatsoever will meet the requirements of law. Reasonableness and non arbitrariness are the hall marks of an action by an executive. Previous ArticleDoes contractual employment hold something positive in store for employees?